YSENGRIN/BLACK GRAIL 12″ MLP on ultra clear vinyl, limited to 400 copies. Comes with 12″ insert on 150gsm art paper. Cover art by Marko Marov. Over the course of its two full-length albums, several demos and split releases, as well as a single EP, Ysengrin has established itself as one of the most unique and original bands on the current metal landscape. 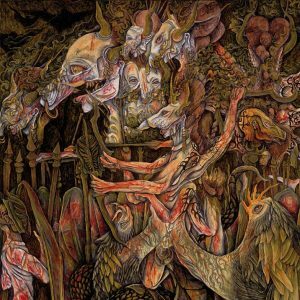 While many casual observers might be tempted to conveniently categorize its style as black metal, Ysengrin has in fact adopted a more varied compositional, instrumental, and vocal approach that the band itself has dubbed Hermetic Dark Metal. 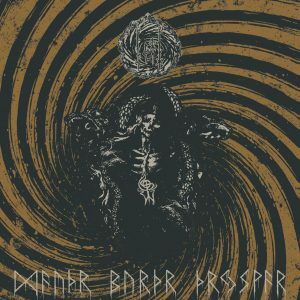 Beginning with a first installment in this latter half of 2015 and continuing into 2016, Ysengrin has dedicated itself to further and perhaps more profound exploration of its hermetic foundations through the release of a series of four 12″ split records with co-conspirators Black Grail, Sartegos, Stargazer, and Inconcessus Lux Lucis, under the conjoined auspices of I, Voidhanger Records and Nuclear War Now! Productions. As a musical and artistic reflection of the way that alchemy was once invoked as a vehicle by which the natural processes of our world could be augmented in order to realize the practitioner’s “Great Work,” this series promises to result in Ysengrin’s collaborative magnum opus. Each of the four releases represents a different classical element – Nigredo (earth),Albedo (water), Citrinitas (air), and Rubedo (fire) – the sum of which comprise the fundamentals from which all physical manifestations are constructed. In order to present these works in the most befitting manner possible, Croatian artist Marko Marov was once again summoned to provide his inimitable vision as accompaniment throughout. Nigredo (blackness, decomposition), the first step on the path towards the alchemist’s ultimate goal, involves the reduction of all ingredients to a uniform black matter via a process of accelerated decomposition. 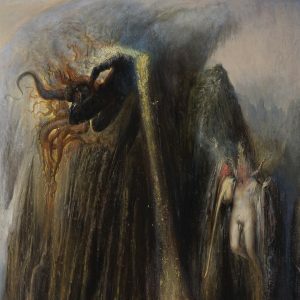 The first split release in this series, entitled Nigrum Nigrius Nigro and offered jointly by Ysengrin and Black Grail – and set for international release on December 1st via I, Voidhanger Records and Nuclear War Now! 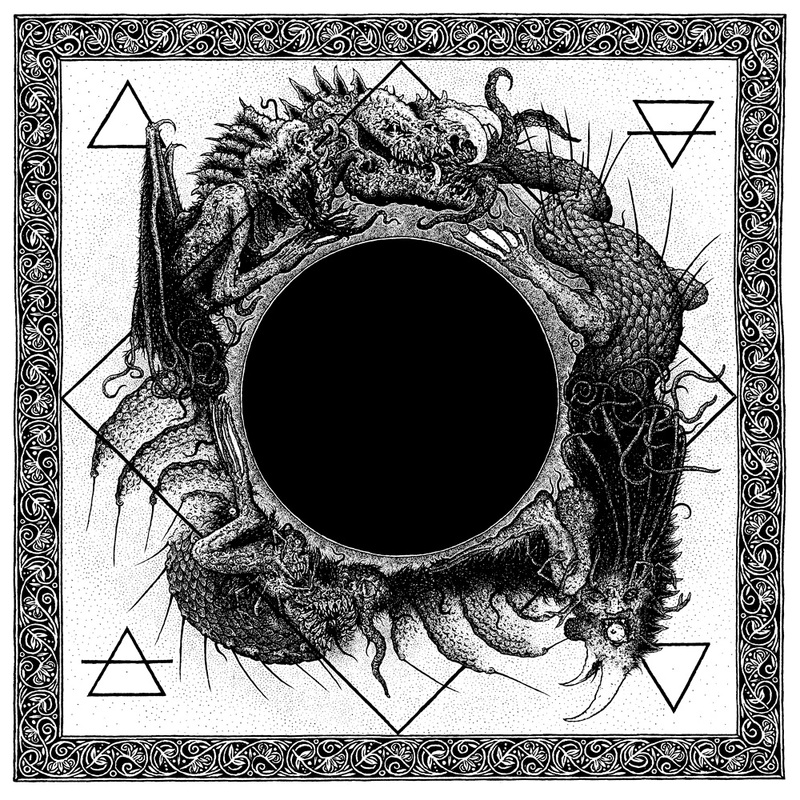 on vinyl LP format only – appropriately reflects this putrefaction of the Materia Prima by featuring four of Ysengrin’s darkest recorded tracks to date, along with a single, hauntingly dynamic, 14-plus-minute song from Black Grail, which suitably follows its well-received debut album from earlier this year. In addition to including two tracks with guest vocals by A. Deathmonger (Charon, Hatespawn), the Ysengrin material also represents the band’s final recordings with rhythm guitars (future recordings will include only bass guitar in this respect). As one more snapshot in the continued development of Ysengrin’s originality, combined with its provision of another glimpse of one of Chile’s most promising current offspring, this release would serve inarguably well on its own. That fact notwithstanding, Nigrum Nigrius Nigro further broadens its appeal by ominously portending the remaining three rituals in the alchemist’s repertoire.